Existing financial management systems are broken: these tools are often inflexible, which leads to performance problems and business stagnation. 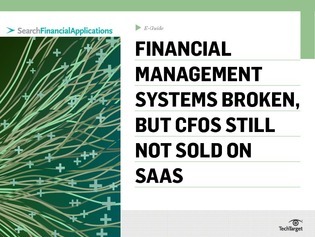 [Increased flexibility] is just one of the many benefits of software as a service (SaaS) for finance – yet many CFOs are hesitant to embrace this strategy. This expert e-guide describes the value of SaaS financial management software, examines adoption trends, and offers advice regarding when and how to consider system replacement. Read on to learn more now.